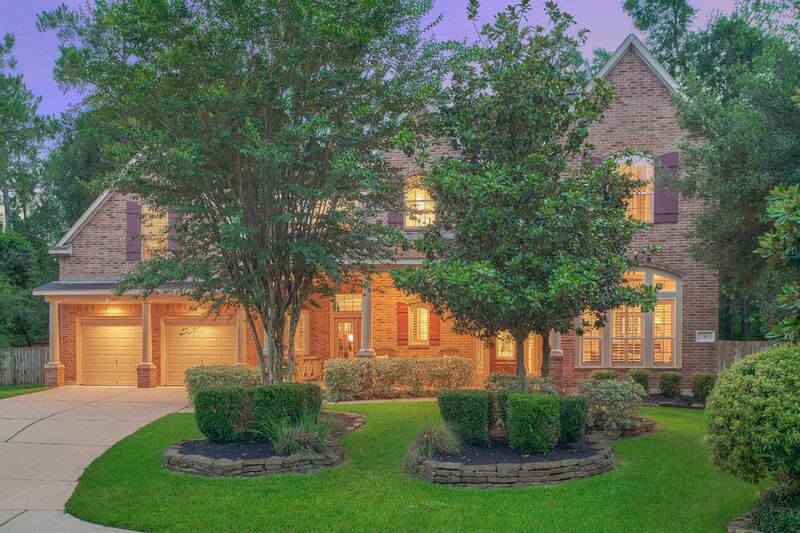 6 Mammoth Springs Court, The Woodlands, TX 77382 | Martha Turner Sotheby's International Realty, Inc. 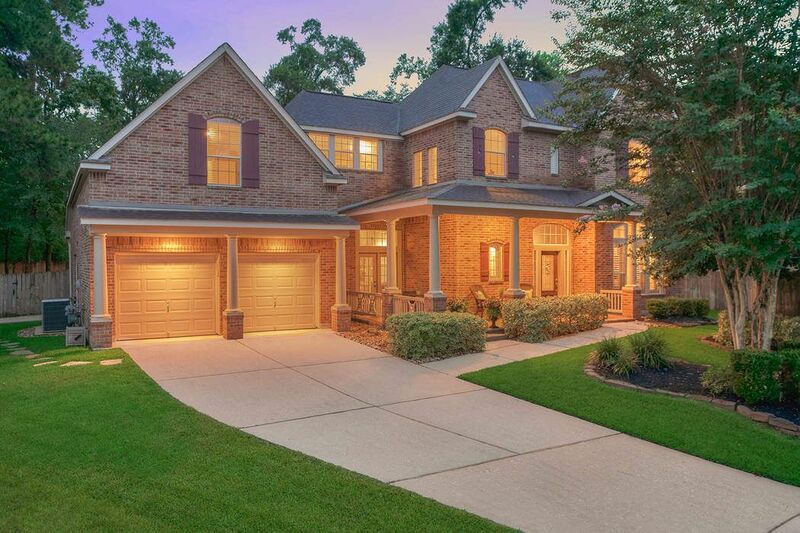 This well-appointed home boasts modern amenities and features that include a 3 car tandem garage and inviting wrap-around porch. Kitchen (18x15). 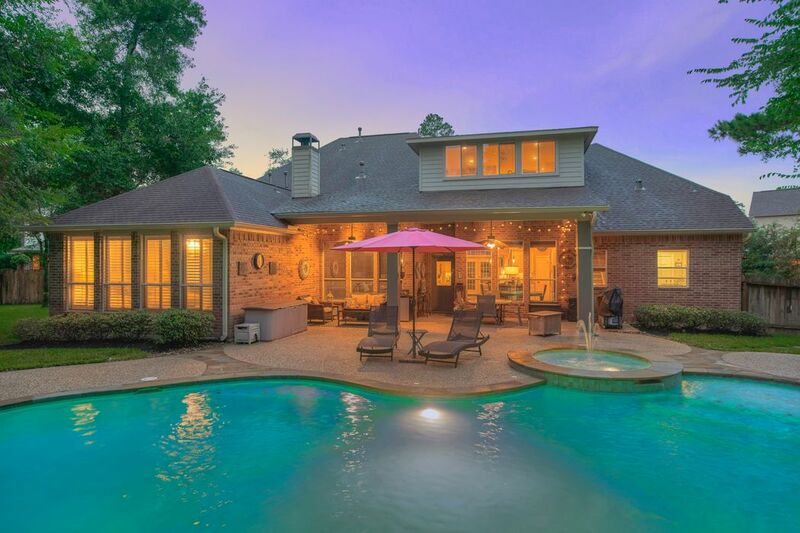 Beautiful view with immediate access to the family room, dining room, sunroom, as well as the outside entertainment area, pool, and lounge space. Welcome to the stunning 6 Mammoth Springs Ct. 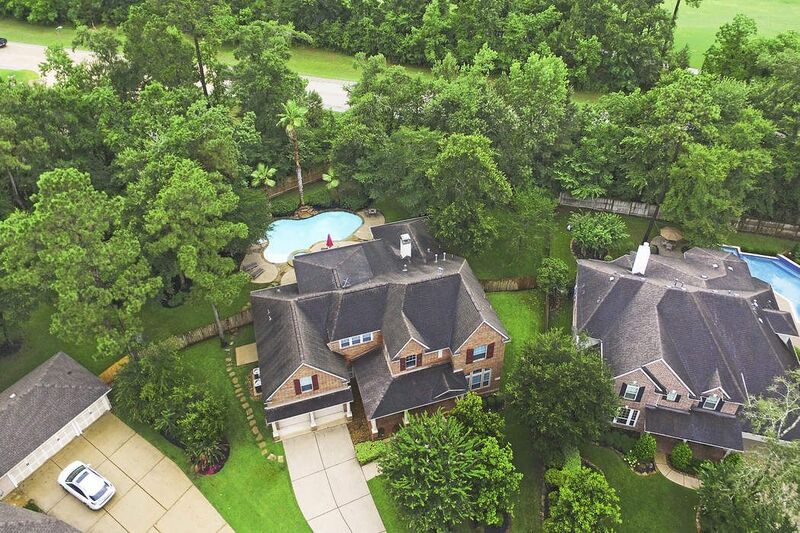 This David Weekley home is approximately 4388 sq. 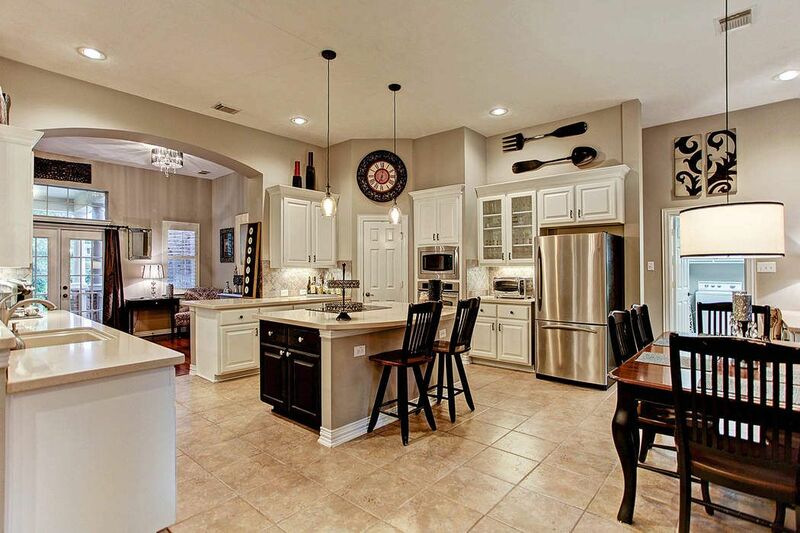 ft. and is perfectly positioned on one of the largest lots in Terrace Mill. View of the rear elevation and sparkling pool and spa. 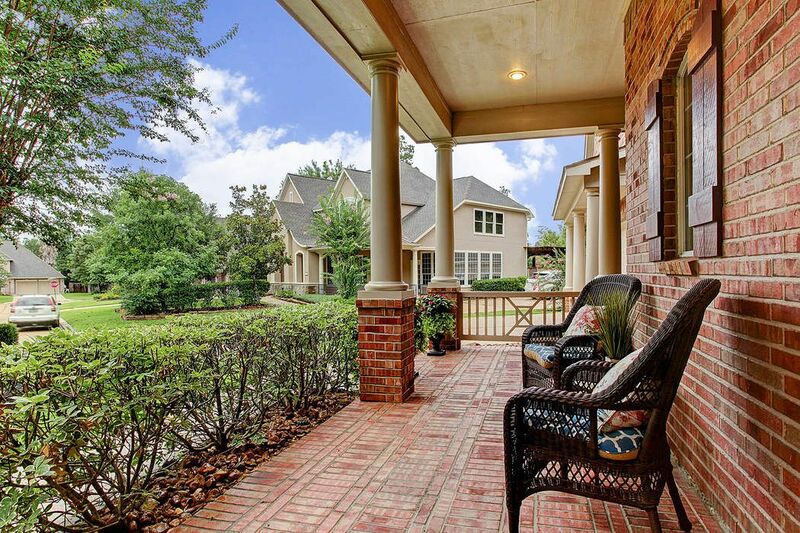 Southern charm abounds as you drive up to this lovely property. 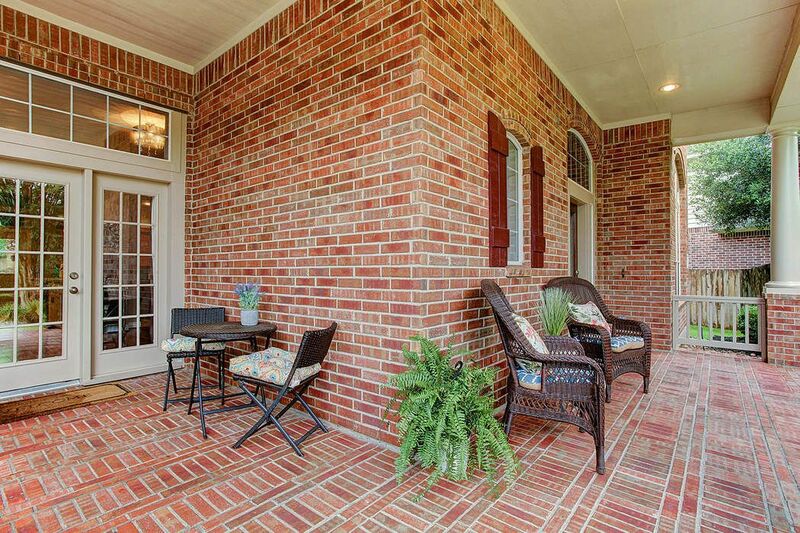 The brick-accented porch welcomes you as you make your way to the front door or sunroom door. 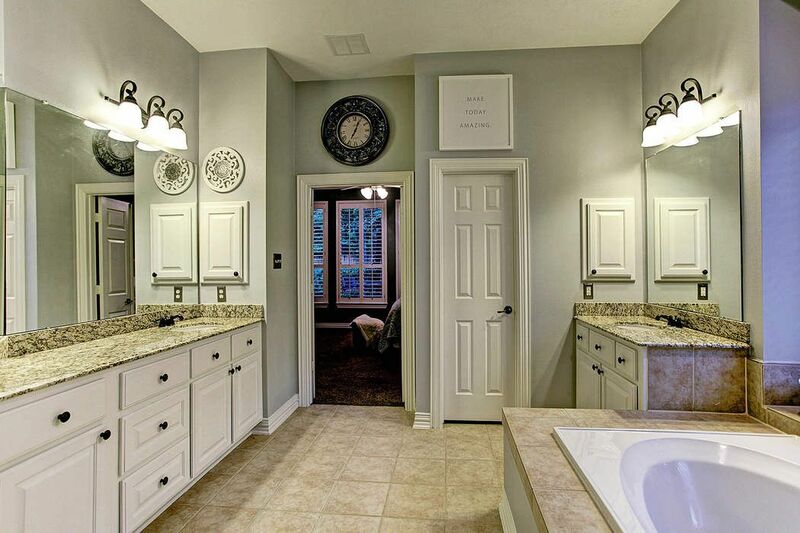 Leave the ordinary behind as you approach 6 Mammoth Springs Court. 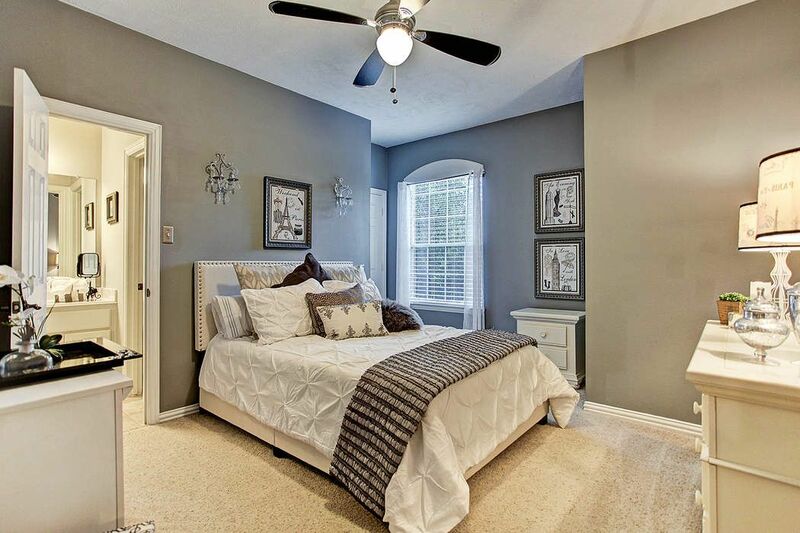 The Hillcroft floor plan by David Weekley boasts an open, spacious plan to meet your needs. Welcome home. 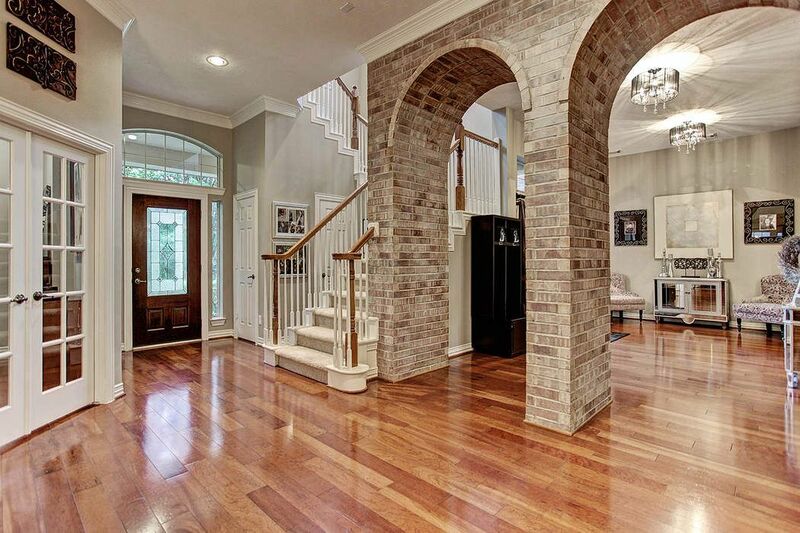 These gorgeous brick accents are carried from the outside in. Take a look! 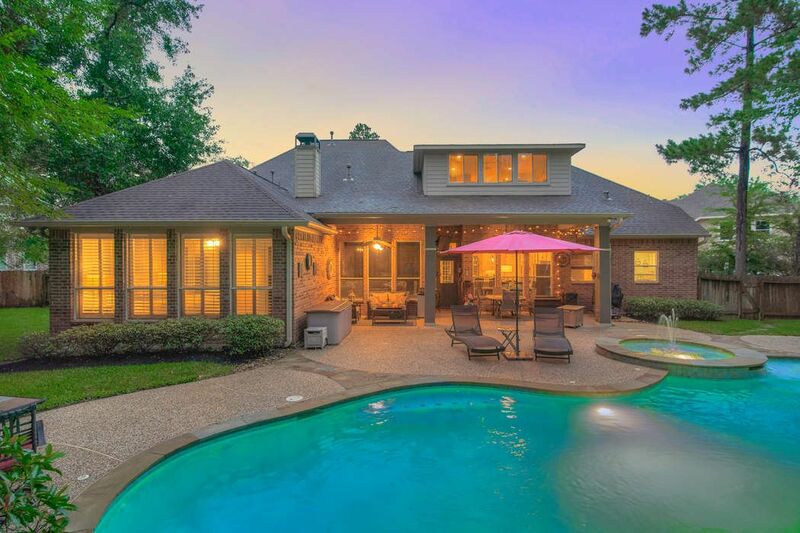 This home is lushly landscaped with a park-like setting and offers fresh exterior paint providing a crisp and clean look and lots of great curb appeal. 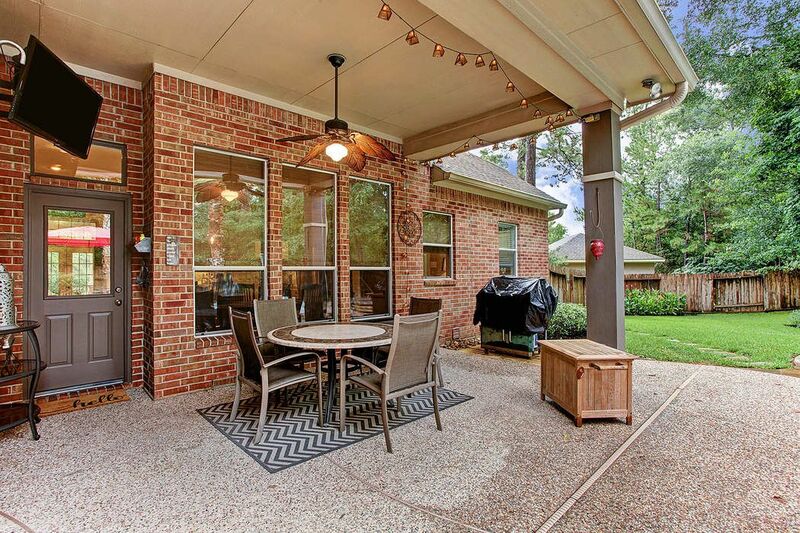 Enjoy sipping your favorite beverage while lounging on this wrap-around porch and taking the view of the front garden or large median in the cul-de-sac where children and neighbors congregate. 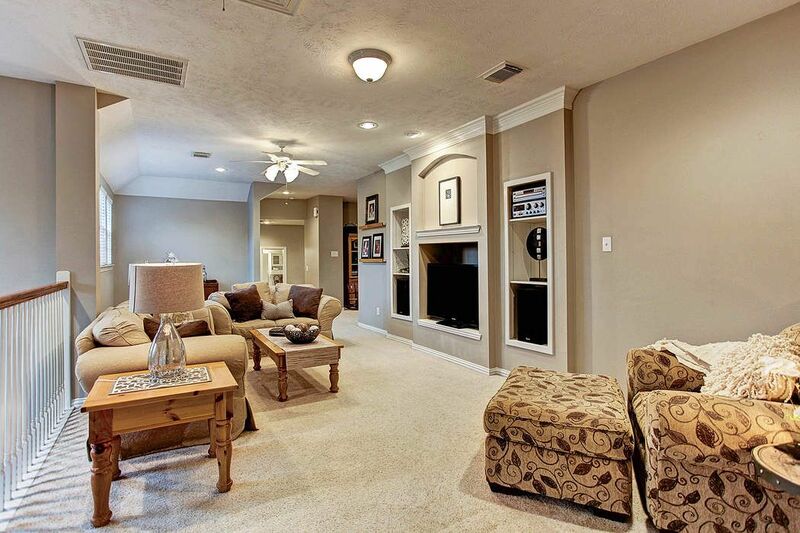 Just past the entryway lies a spacious floor plan with endless possibilities! 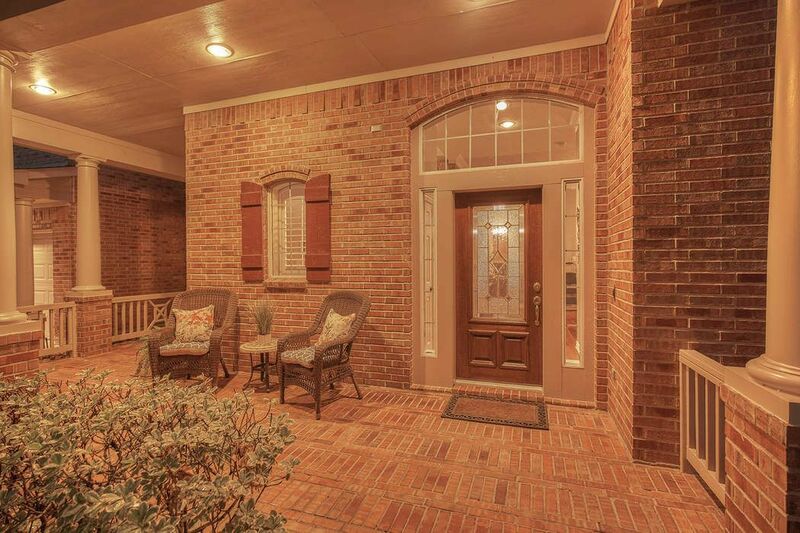 Relish at these up-to-date features including wood flooring, crown molding, welcoming brick accent wall and lovely recently updated lighting. No matter where you are in the home you are treated to natural light entering from every room including this study with French doors. Wonderful open plan. 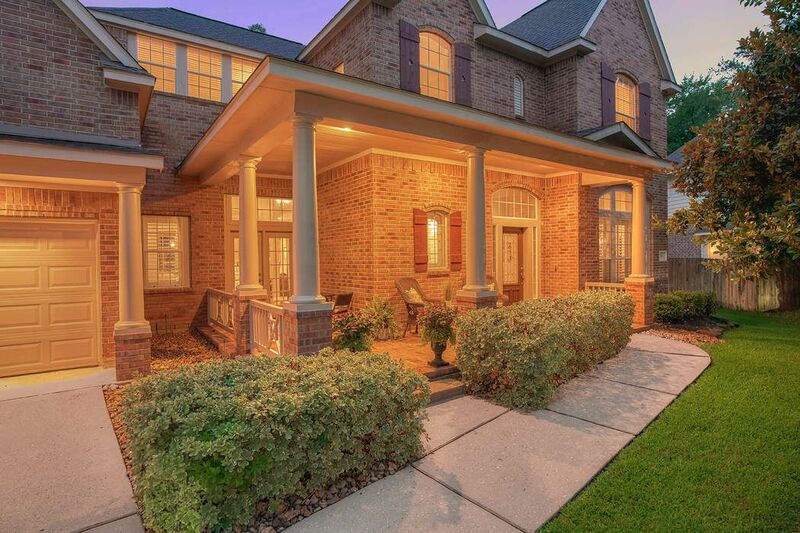 Relish in the ambiance of the traditional architecture this home provides. 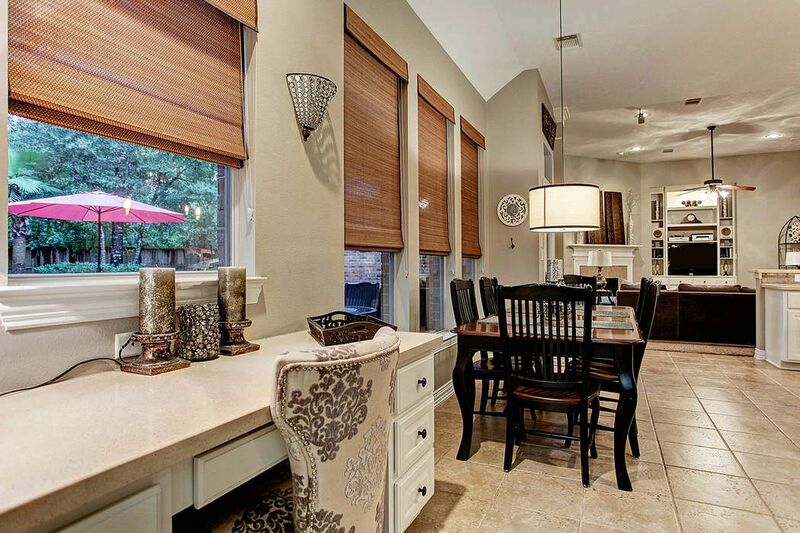 This well-appointed sunroom/lounge space (18 x 12) offers double doors with immediate access to the side patio. 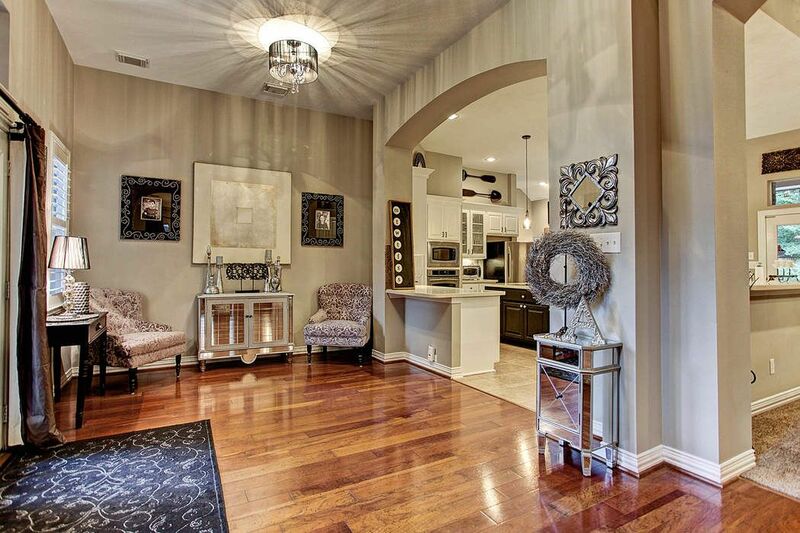 In addition, two glass chandeliers accentuate the wall space perfect for showcasing art and décor. 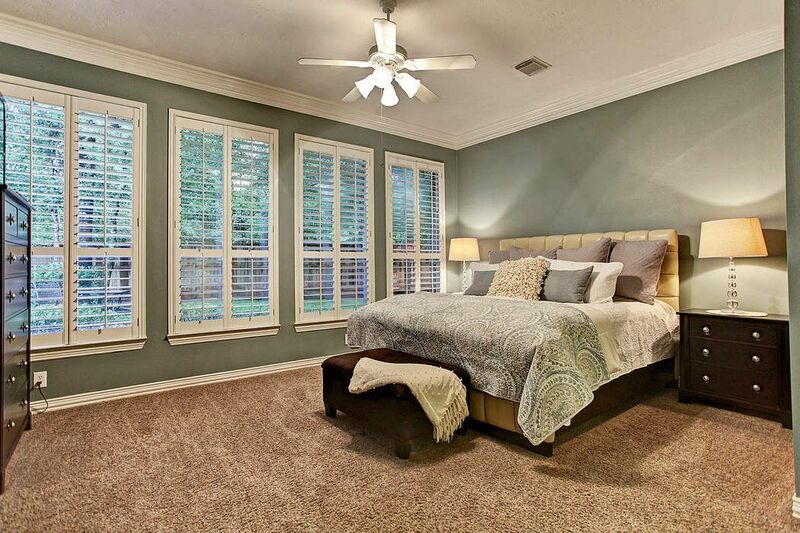 Relax in this expansive space filled with natural lighting. Double doors provide immediate access to the front patio & two glass chandeliers accentuate the great wall space for decor and art pieces. 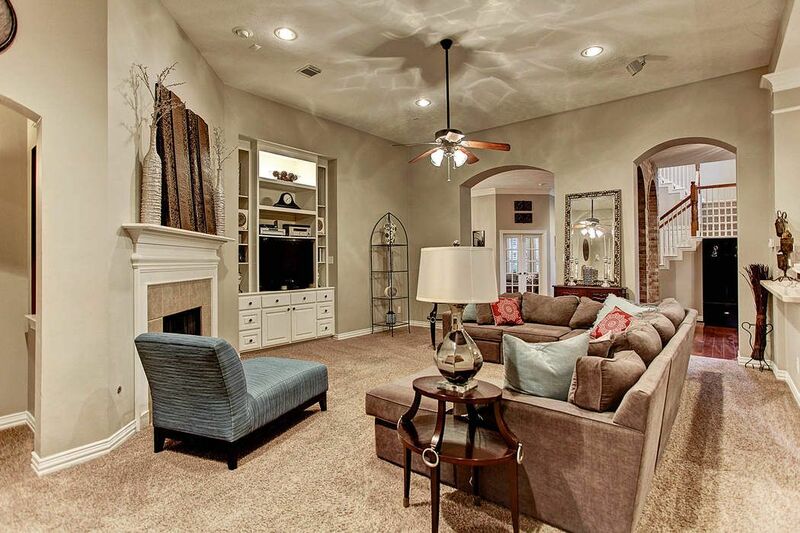 Expansive space sweeps throughout this Family Room. A warm and inviting feeling is felt in this space. 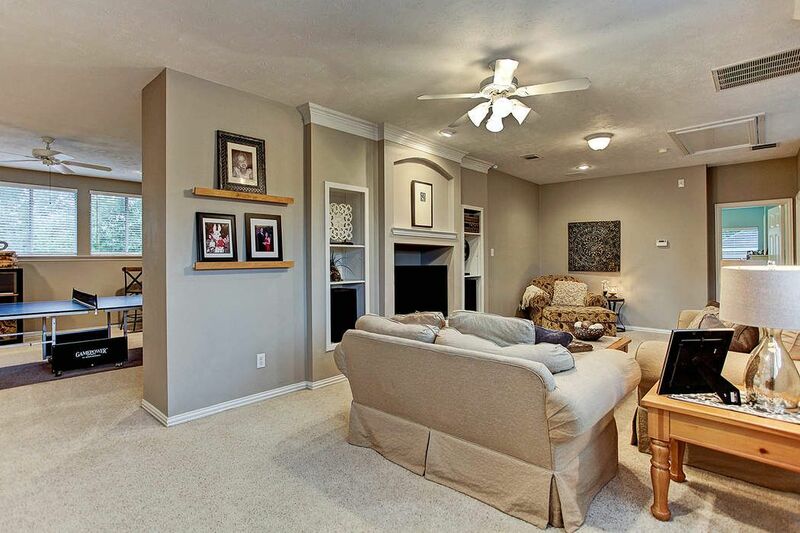 This large family room boasts built in shelves, cozy corner fireplace, lighting features and is a welcoming place to gather. 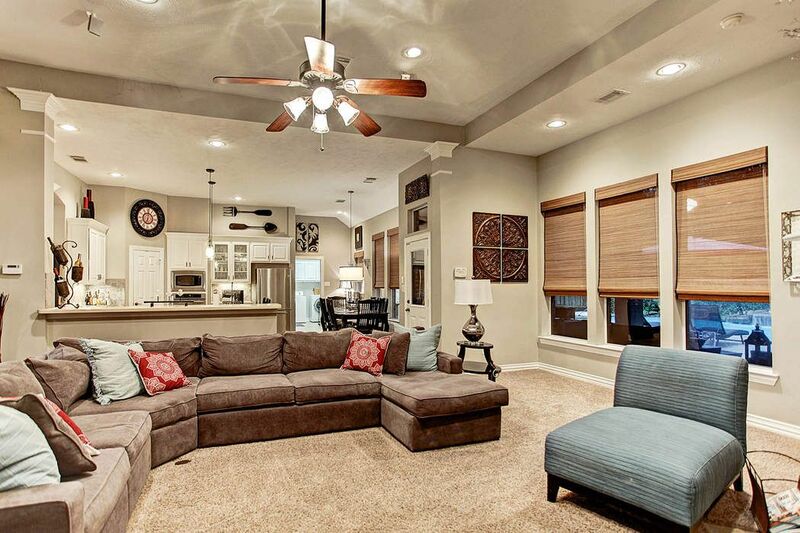 Gather with friends and family in this substantial Family Room (24x19). Providing a built-in wall with cabinetry, entryways on all sides for immediate access to dining room, kitchen, sunroom, and master bedroom. 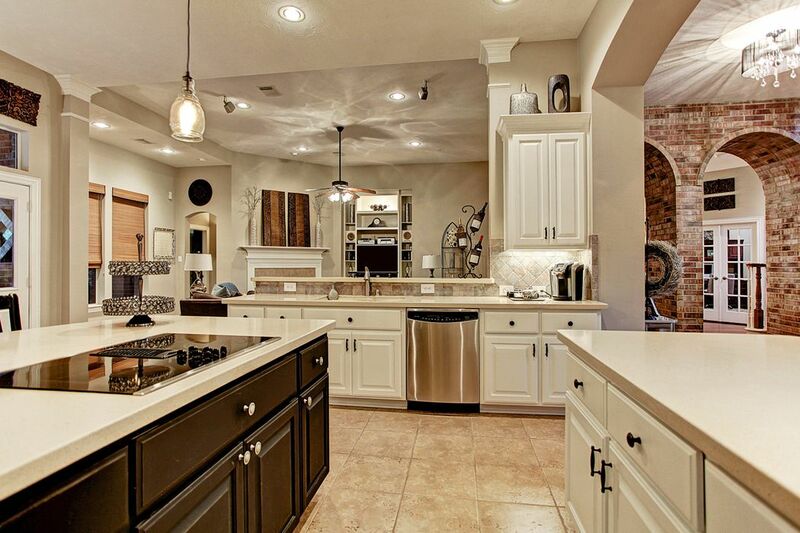 The spacious Kitchen is perfect space for the Master Chef of the home. 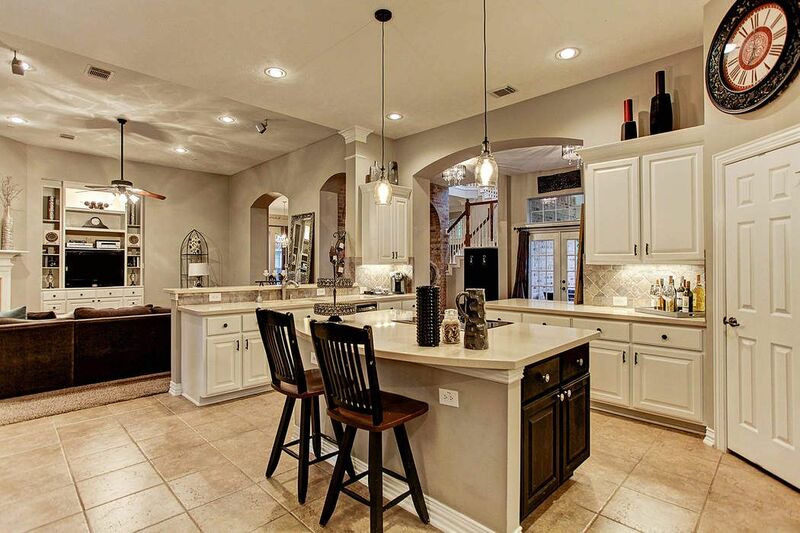 Offering built-in stainless steel appliances, breakfast bar, and cook top on the large island. 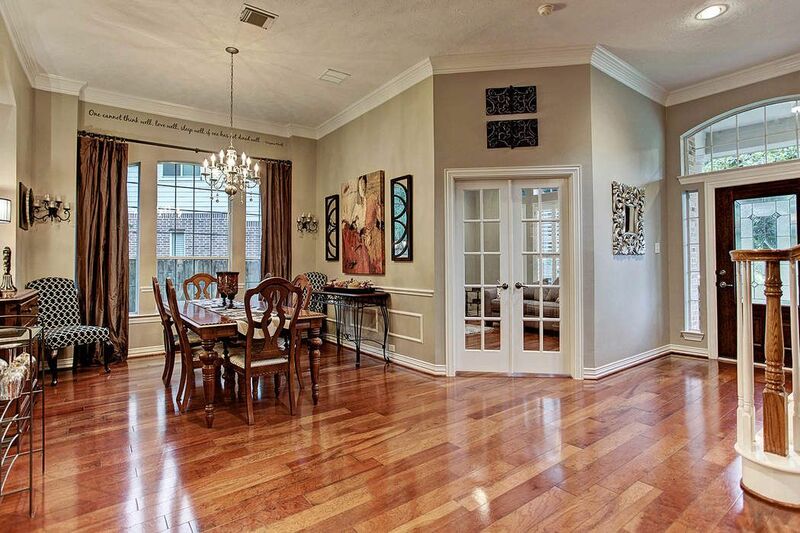 Host your guest in this elegant formal dining space that offers a beautiful view of the back yard property. 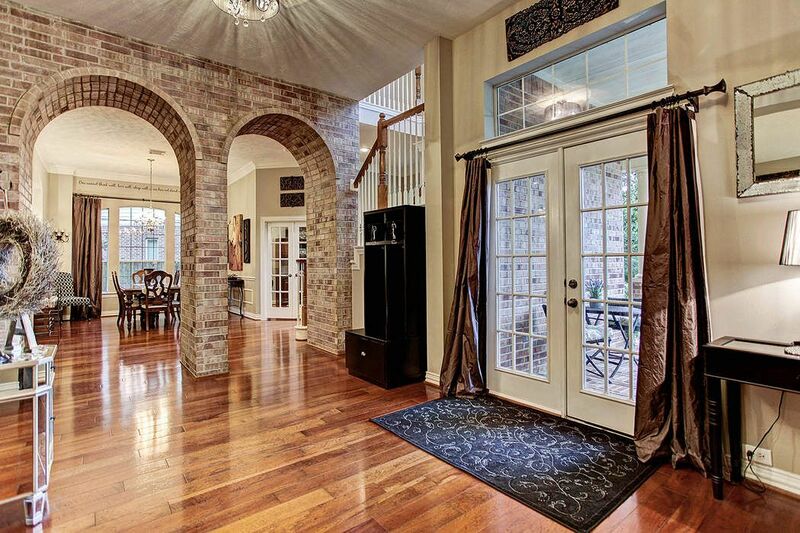 The expansive wall of windows allow for natural light from the Texas sun. 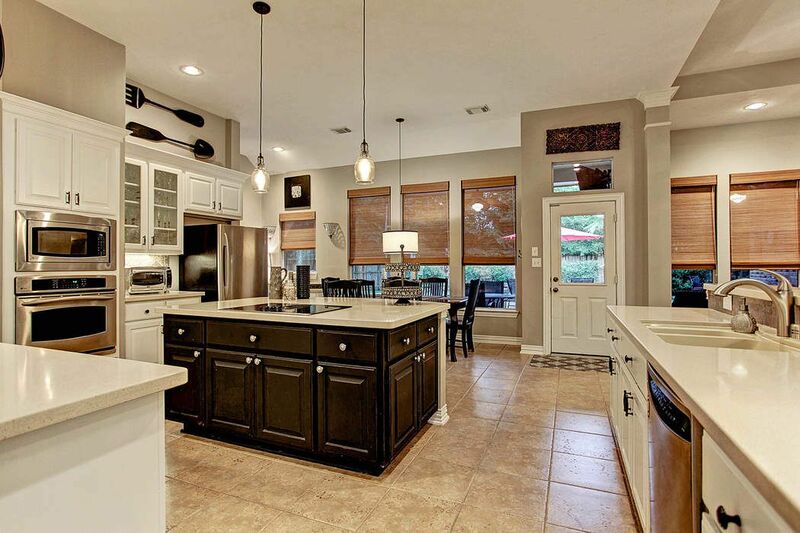 Any chef in the family will delight in the spacious kitchen with plenty of preparation areas, a great entertaining space. 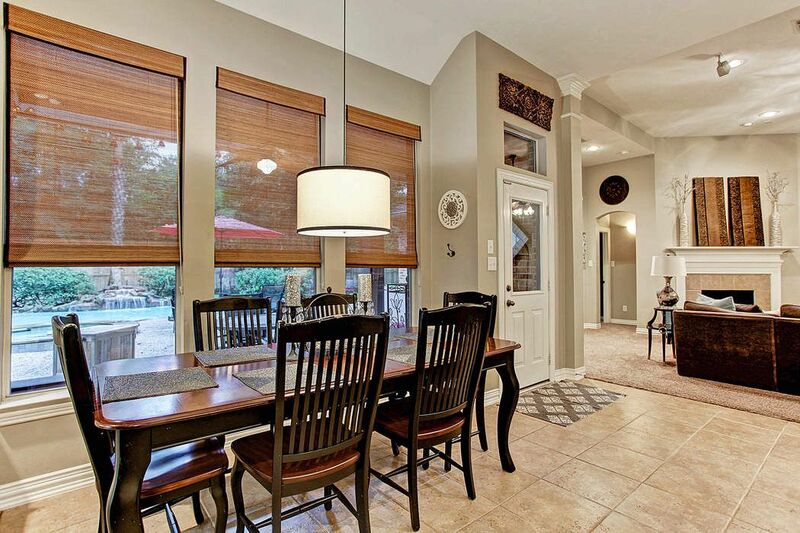 Connected to the Kitchen is the Breakfast Room (13x7) with spectacular views of the back yard oasis. Tucked away is this powder room that boasts a window that provides natural light as well as closet that allows for additional storage. 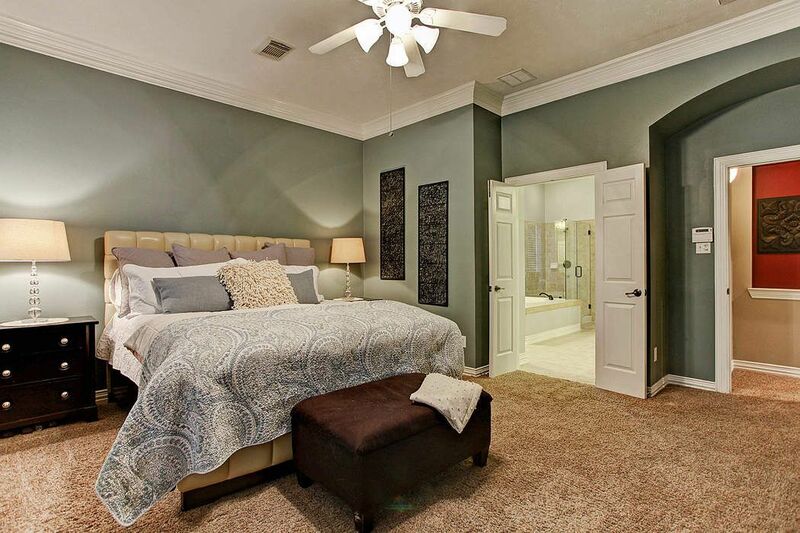 Relax in this private Master suite (Master Bedroom 18 x 15). Beautiful views to the back of the property are offered from these large windows finished with beautiful and functional plantation shutters. Natural light fills the room. 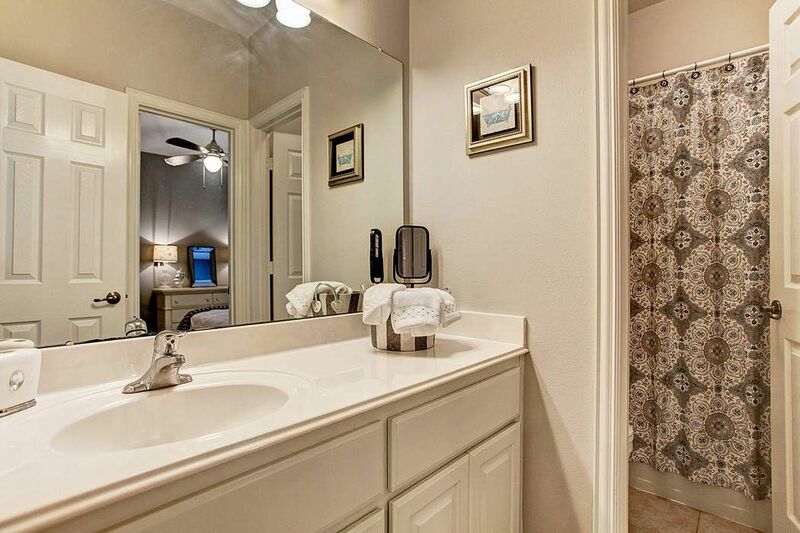 Step into the ensuite Master Bathroom offering double vanities, granite counter tops, wide-hinged glass shower, and a whirlpool Jacuzzi with tile back splash. 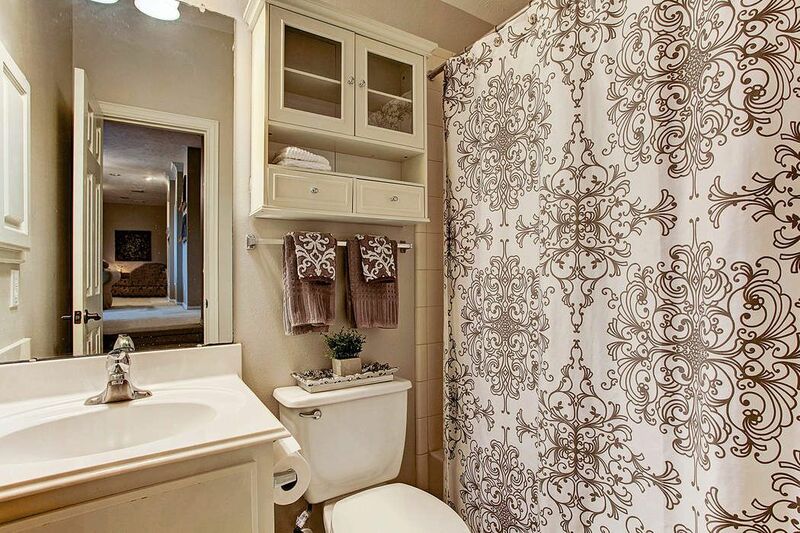 This Master Bathroom offers ample amounts of storage space for all your essentials. In addition, natural lighting radiates through out the great space. 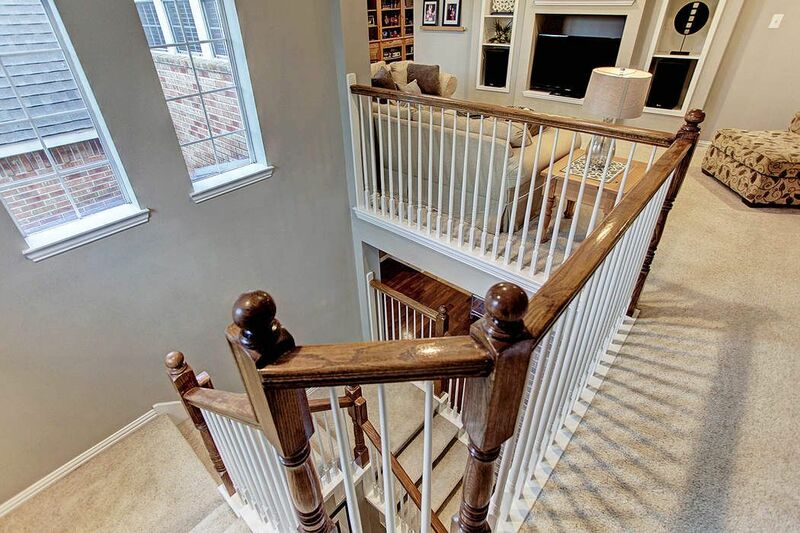 Main staircase with multiple landings as you make your way up to the second floor. At the top of the main staircase you enter the expansive entertainment space (children's retreat). Children's retreat (29 x 13) features built-ins to showcase your collectibles or art. 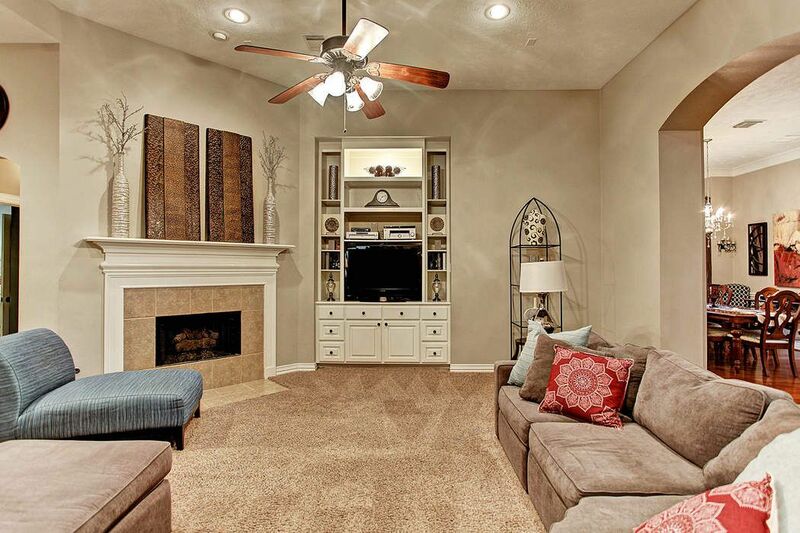 This expansive bonus room (18 x 16) is designed for entertainment and fun. 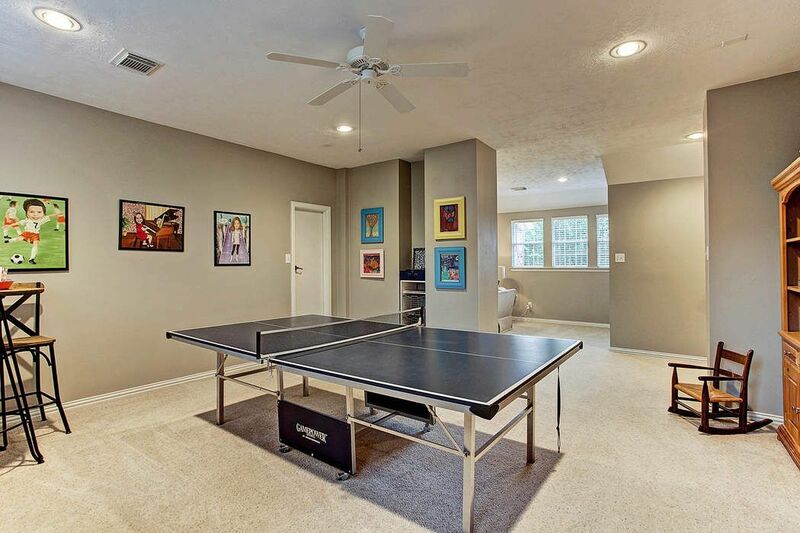 The bonus room is currently used as game/entertainment space. This could convert to a media room or whatever your heart desires. The door pictured here provides access to the decked attic space. Secondary bedroom (Bedroom #2 - 14 x 12) is adjoined by jack and jill bathroom. The window allows for natural light and wonderful views of the front garden. Jack and Jill bath that adjoins two of the secondary bedrooms located on the second floor. 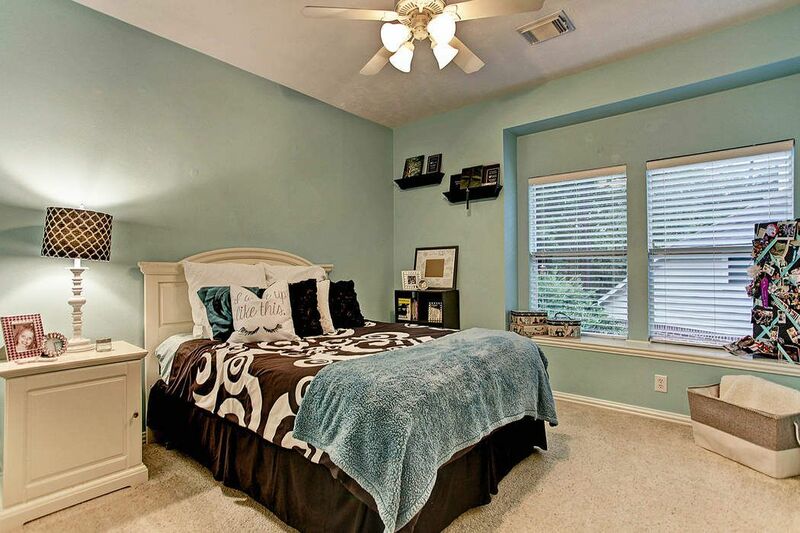 Secondary bedroom (Bedroom #3 - 13 x 12) with lots of natural light, walk-in closet and adjoining jack and jill bathroom. 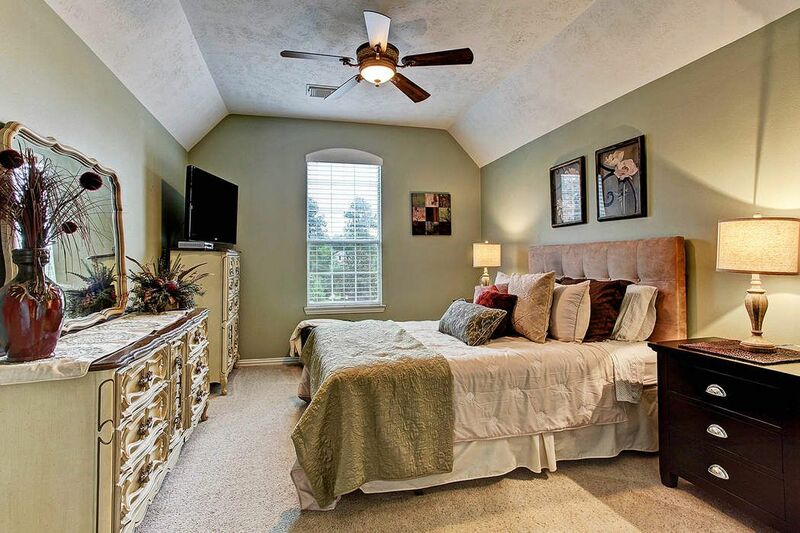 Private guest room (Bedroom #4 - 15.5 x 11.5) located adjacent to the return stairs. A full bath is steps away. Lovely view of the front garden can be seen from the window. 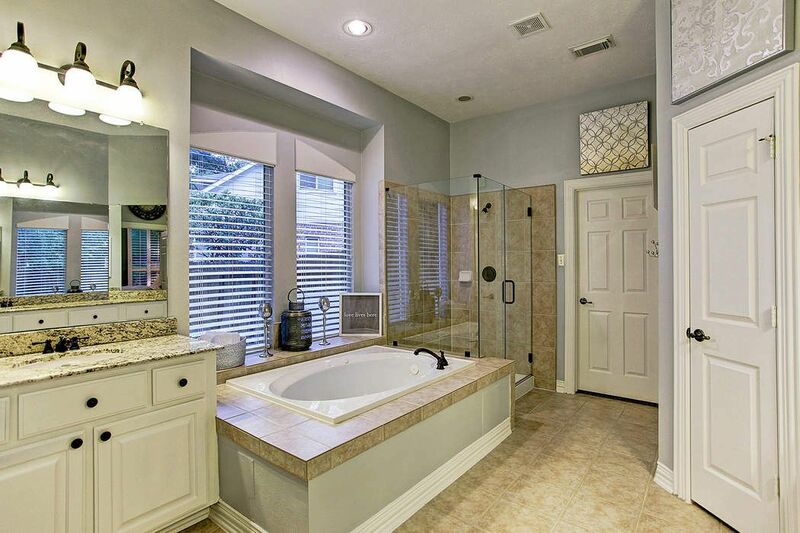 Guest bath that also accommodates the bonus room and children's retreat. Watch your loved ones play in the pool as you relax in this covered lounge space. Offering television hook up, lighting features, and ceiling fans. 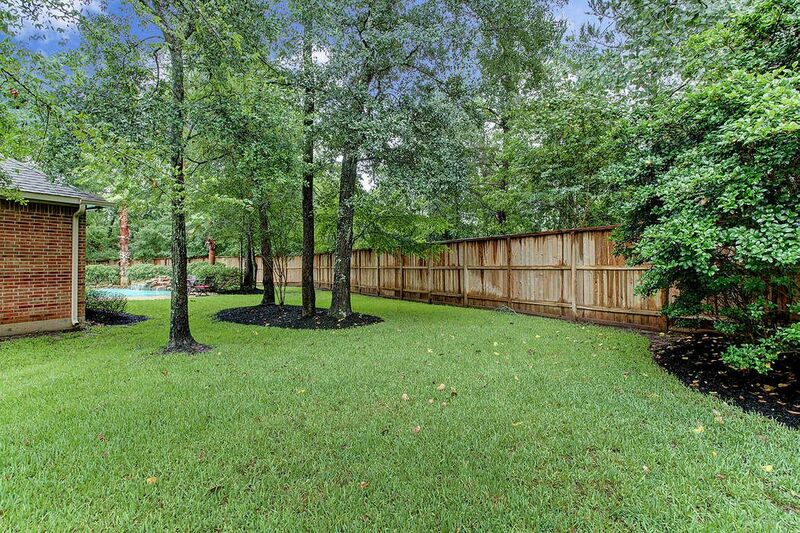 There is plenty of room in this side yard for your pets to run and play and kids to have their dream playground. 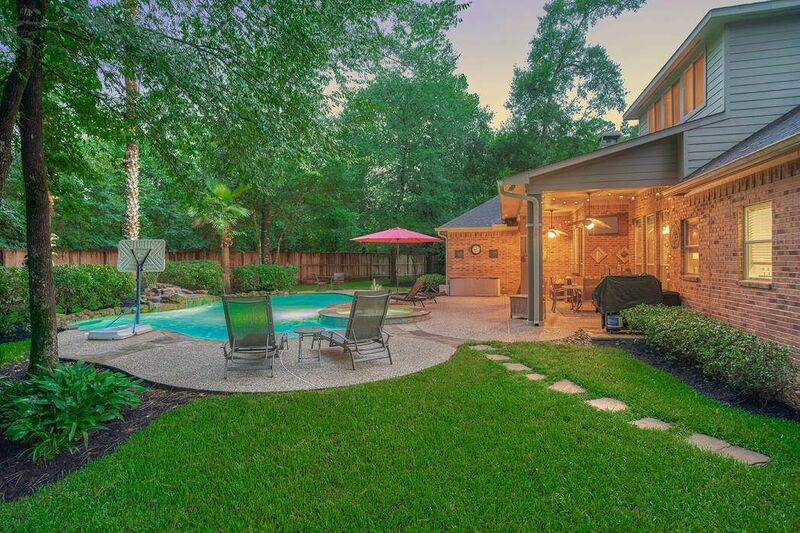 As you step outside to enjoy the outdoors, you find multiple areas to gather with family and friends. Escape from the everyday in this tropical, private oasis. 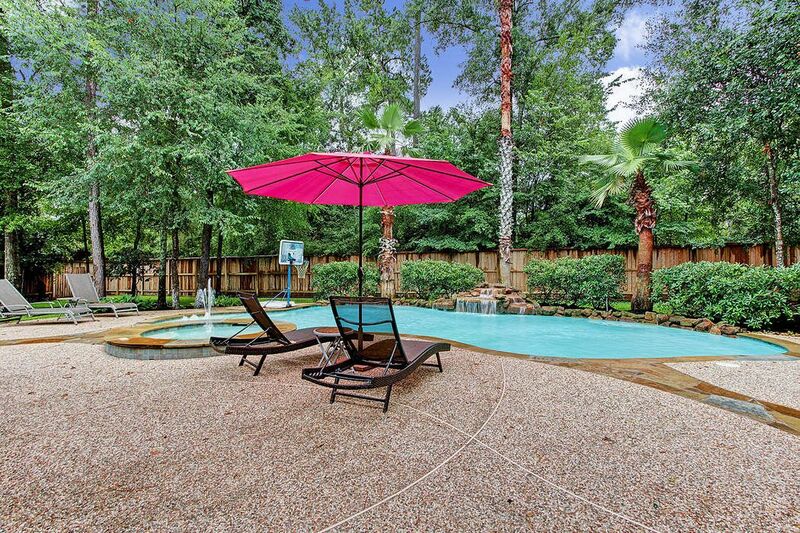 Soak in the sun by this sparking pool or jump in the hot tub. 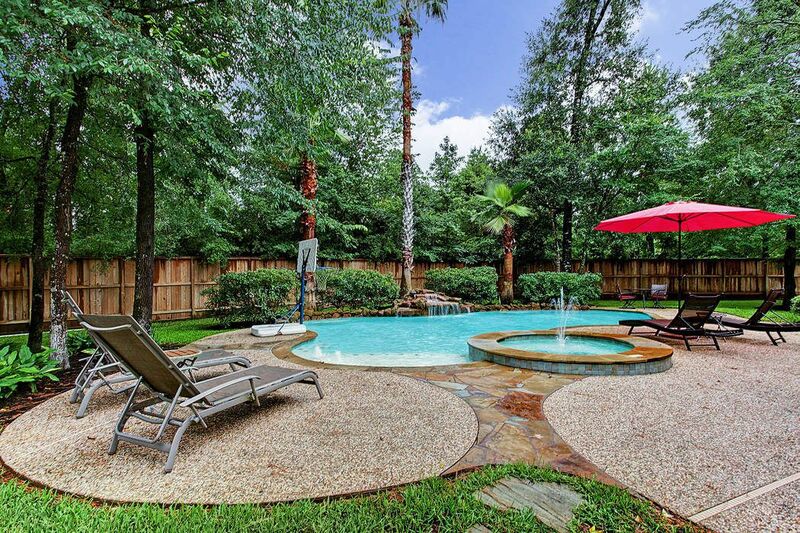 Extended outdoor living space showcases sparkling pool and spa with waterfall and other fun water features. Relax out back as your loved ones play. 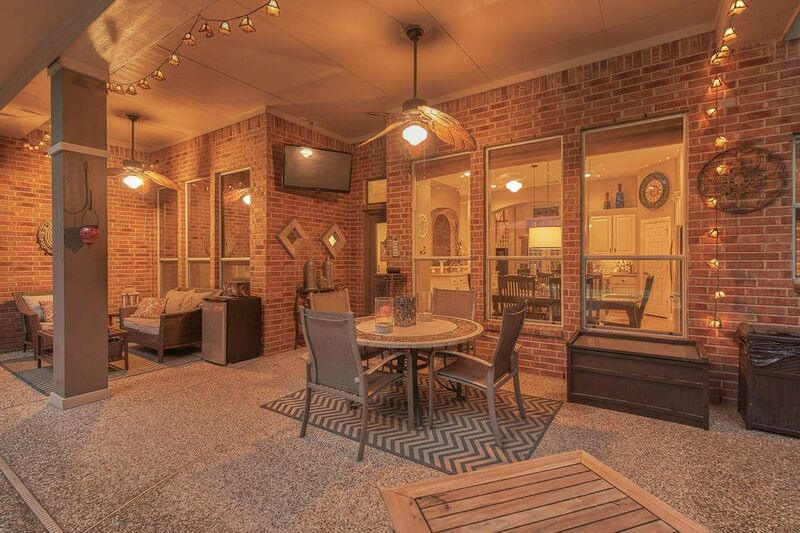 This open back patio space is made for entertainment and leisure offering covered lounge space and a large back yard with pool and spa. 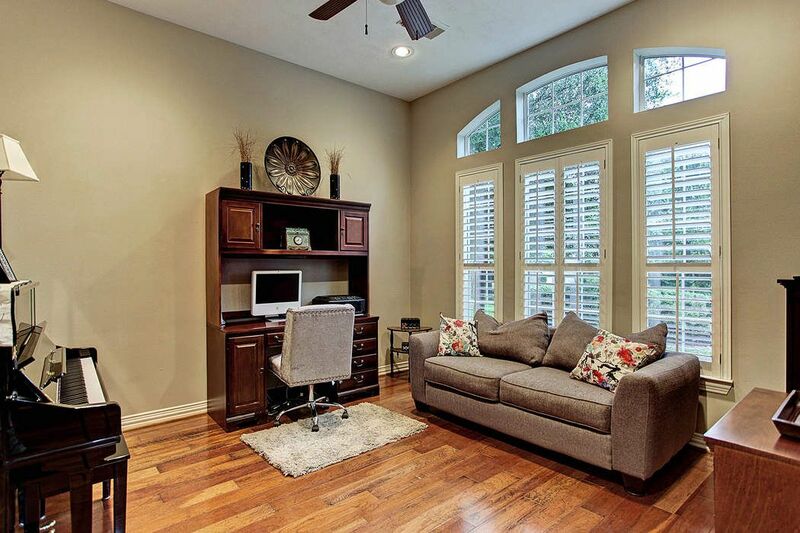 Outside living at 6 Mammoth Springs Ct. offers fantastic amenities much like the interior. 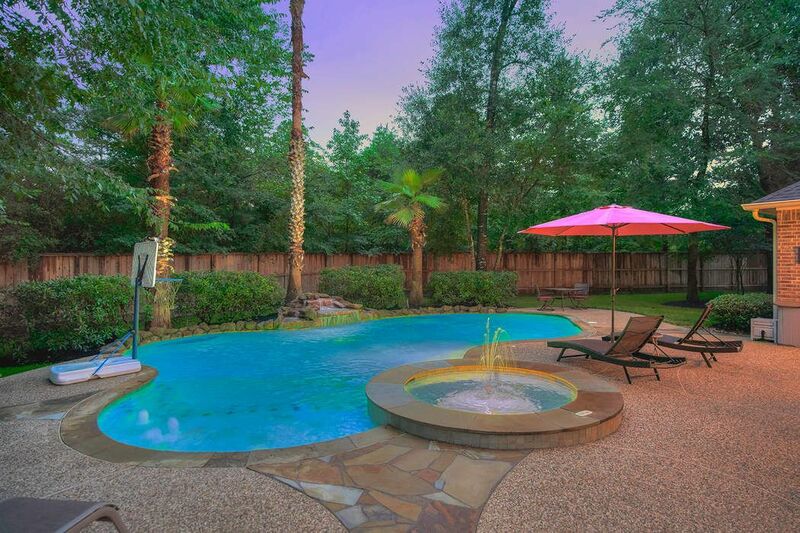 Come and experience this lovely, landscaped home with pool, spa plenty of covered patio that extends the living space outside. 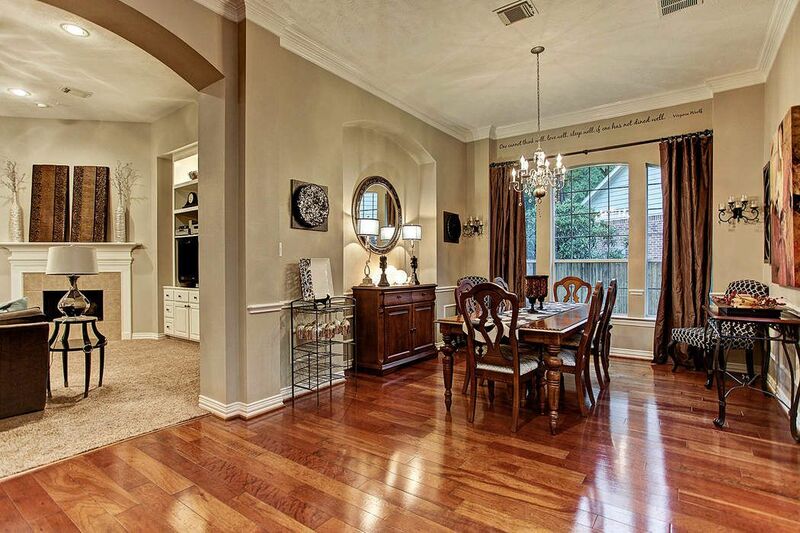 $669,900 4 Bedrooms3 Full / 1 Partial Baths4,388 sq. 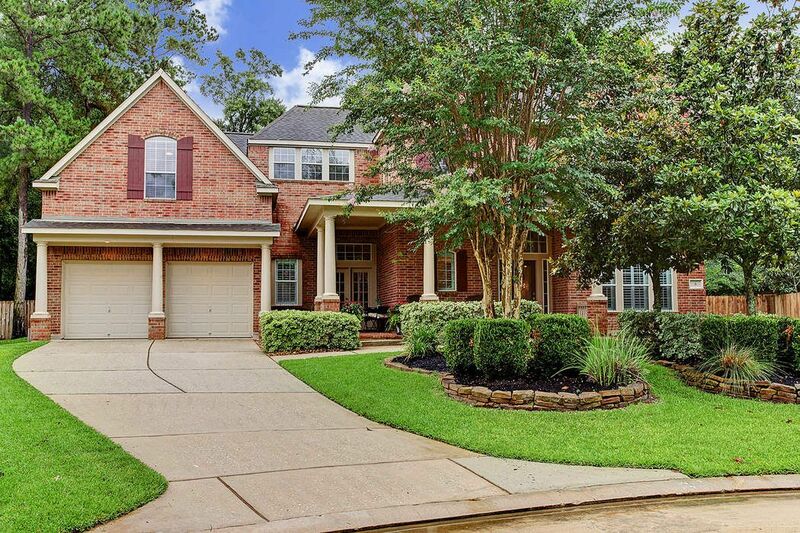 ft.
Southern charm abounds with details galore in this well-appointed home in the Terrace Mill Enclave of Sterling Ridge. Nestled in a cul-de-sac on one of the larger lots in the community, this unique property offers wonderful finishes and features that include wood floors, plantation shutters, 2 staircases, extensive woodwork in addition to soaring ceilings, a cozy corner fireplace in the large family room and brick accent wall off the dining room and sun room. Spacious gourmet kitchen with large island, under cabinet lighting, stainless steel appliances and silestone quartz countertops. 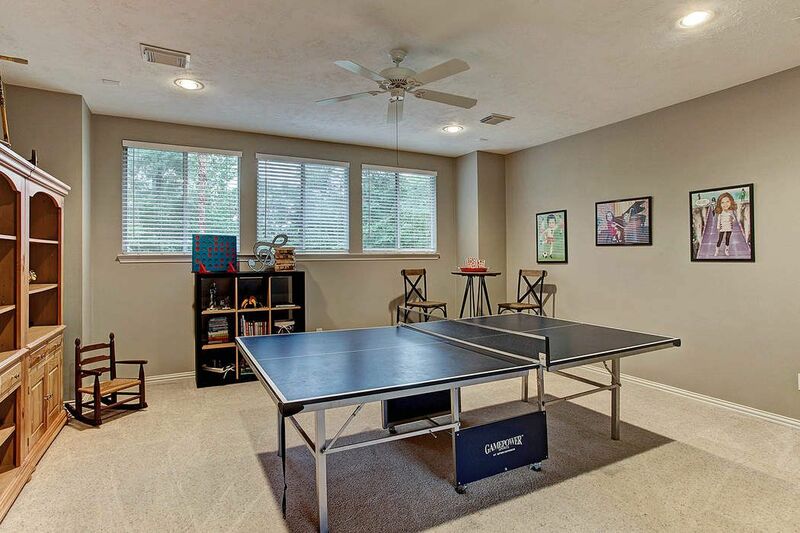 In addition, there is a large game room, 3 bedrooms and 2 full baths up. 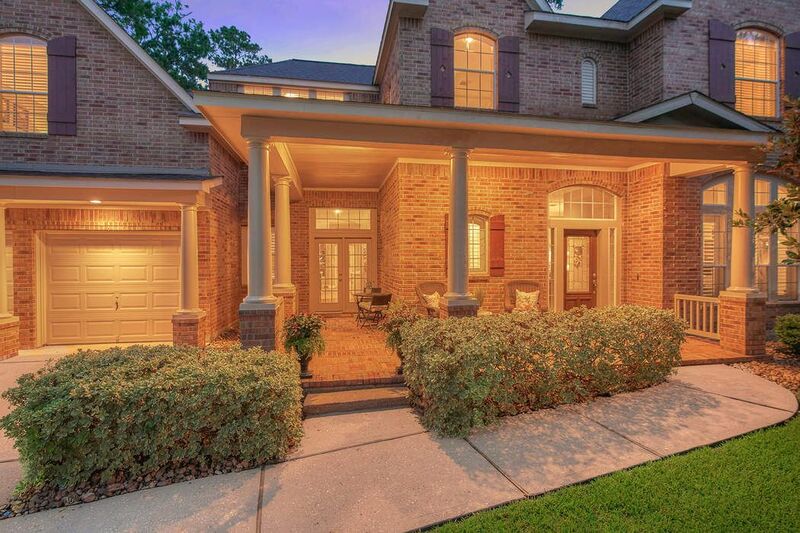 Other amenities include a sprinkler system and 3-car tandem garage with extra side garage door. 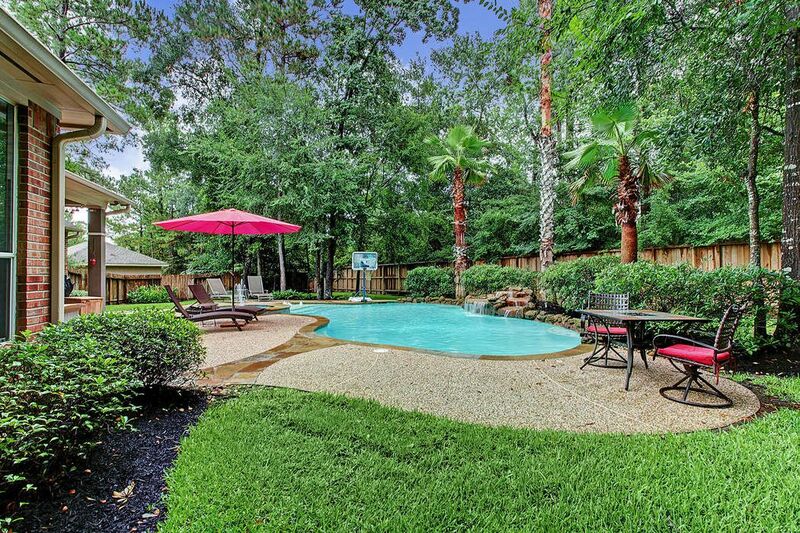 Enjoy the oversize backyard oasis with partial greenbelt. Floored attic for storage. 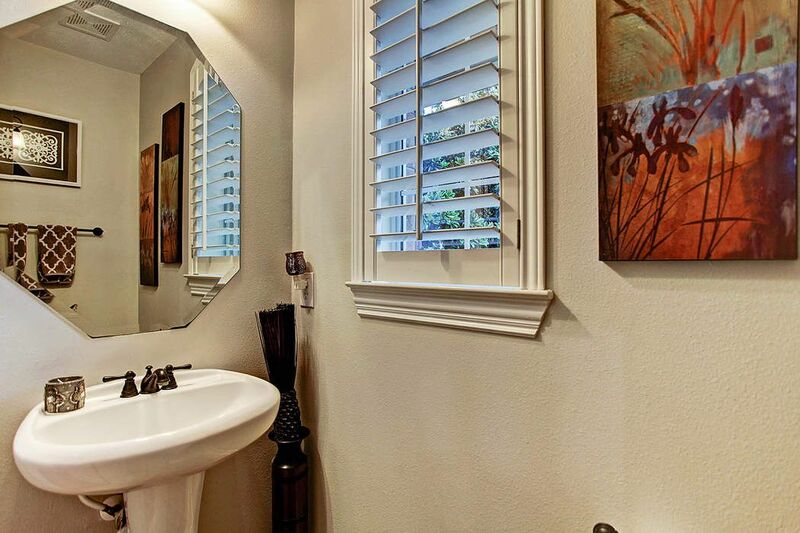 Convenient to a park and tennis courts.